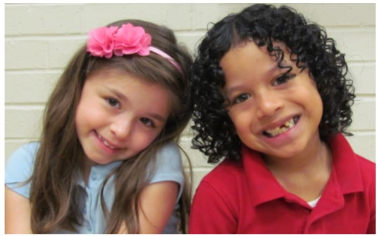 In its efforts to provide an opportunity to all students, Sheldon ISD offers the dual language program. Students in Kindergarten will be able to take part in this exciting, research-based programs that help students become proficient in English and Spanish. Through the program, native English speakers and native Spanish speakers will acquire the skills to be successful in school while also becoming bilingual and biliterate. The dual language program also builds cultural awareness by exposing students to customs, and traits from around the world. Students maintain the same rigor in their academics and core subjects with no loss to their first language. 5:30 p.m. 9:00 a.m. 6:00 p.m. 5:30 p.m. 9:00 a.m.
Are you interested in enrolling your child in the dual language program? 1. Attend an informational meeting to understand the program and requirements. 3. Students will participate in basic skills screening and oral testing in both languages. 4. If your child is selected, you must sign a commitment to a five-year program.